Marc Jacobs is a high-end American fashion label that can be seen on runways around the world. The brand’s edgy and modern looks appeal to men, women, and children all over the world. With Big Apple Buddy’s personal shopping service, you can now buy direct from the USA Marc Jacobs online store anytime, anywhere. Marc Jacobs is especially known for its premium and high-quality handbags. 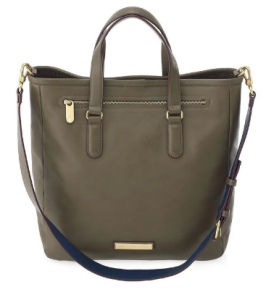 The Luna Tote is a sophisticated bag with the timeless and classic look that Marc Jacobs strives for. This bag is the perfect size to fit all of your daily essentials. This will be your new go-to accessory, and it’s the ideal bag to bring to work, since it can easily be transitioned from day to night. This tote comes in a neutral teak color, so it will match pretty much anything in your closet and help you make a statement. The detachable strap has a contrasting underside, which brings a pop of color to the bag. Say hello to your new favorite accessory! You can also shop from endless elegant and sophisticated clothing options at Marc Jacobs. 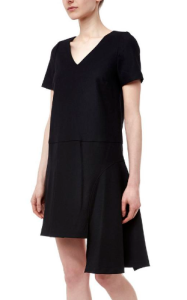 This Stretch Lightweight Wool Shift Dress has a relaxed, slightly stretchy fit. This is the perfect dress to wear on those cold nights out, and simply pair it with some tights and a jacket, and you have the perfect winter look. Although the wool material keeps you feeling warm, this is still a lightweight dress, so you’ll be able to move about freely and comfortably while wearing it. This doesn’t have to be just a winter dress - pair it with some flats or sandals and it’s perfect for a cool summer night! Marc Jacobs has plenty of clothing and accessory options for men as well. 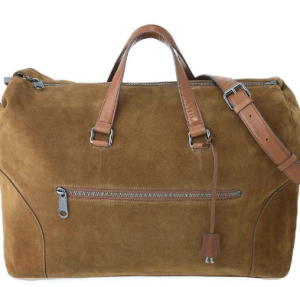 Store all of your necessary belongings in the Embossy Suede Tony Weekender bag. This large bag is the perfect size to bring with you when you travel. With two leather top handles and an adjustable and removable crossbody strap, this bag can be held in a variety of ways, so you can choose whichever is most comfortable for you. There are multiple interior and exterior pockets in this bag, so there’s enough extra storage for all the belongings you’d need to bring with you when you travel! Unfortunately, the USA Marc Jacobs online store does not currently offer international shipping. However, Big Apple Buddy, your personal shopper, can help you buy products direct from the official USA Marc Jacobs online store and ship them to your doorstep, no matter where you are in the world. If you would like to buy from the USA Marc Jacobs online store, simply let us know which items you would like to order (by filling out the form below) and we’ll get back to you with a free international shipping quote within 24 hours!